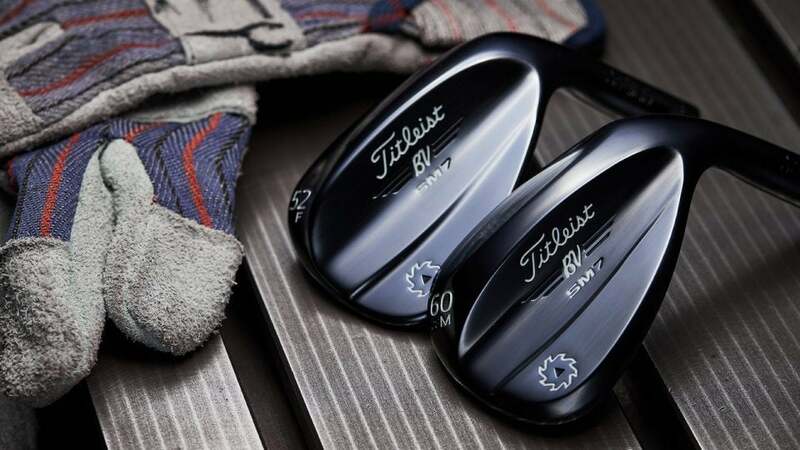 Titleist is adding a durable slate blue finish option to Vokey's popular SM7 wedge line. Launched the end of last year with the limited-edition WedgeWorks T-Grind, Slate Blue will soon join Vokey's SM7 line as a retail finish offering. The finish is as durable as Tour Chrome and features a mirror polish with hints of blue and gray. "Very often wedge finishes can be beautiful, but they won’t last," Vokey said. "At the same time, the most durable finishes often aren’t stunning. Slate Blue combines the two. Not only will golfers love their wedge when they see it in the shop, the finish will last through the course of normal play." Vokey's SM7 wedge underwent some noticeable improvements during the creation process, beginning with a redesigned progressive center of gravity that aligns CG with the impact position of each loft for distance and trajectory control. During advanced testing with SM6, models revealed to Vokey's R&D team an opportunity to further dial-in the CG location within SM7. Using the same CAD technology, Vokey pushed the CG location higher on the high-lofted wedges and lower on the low-lofted wedges for more consistent performance and a better feel at impact. A look at Titleist's Vokey SM7 Slate Blue wedge. The Spin Milled grooves were cut to even tighter tolerances, yielding roughly 100 rpm more spin on average. The uptick in spin came about through an additional cutting process applied to the plated wedges. A proprietary heat treatment was also applied to the head that extends the overall life of the grooves. Vokey SM7 Slate Blue is available Jan. 31 in all 23 loft, bounce, and grind options (both right- and left-handed) and retails for $199. The stock shaft and grip offering is Nippon's Modus3 125 shaft and custom BV Wings New Decade Multi-Compound Black grip.